Mary was born on May 26th, 1941, just seven months before the bombing of Pearl Harbor and the United States' entry into WWII. Her husband and Jim Bob's father, J.L. Duggar, passed away nine years ago on February 9th. Were he still alive today, Grandpa Duggar would be turning 82 on February 3rd. Nicknamed "Super Grandma," Grandma Mary is dearly loved by her family. Is Grandma Mary wearing pants? Stirring the pot. She has said on camera - many years ago - that she wears both pants and skirts/dresses. Jim Bob and Michelle decided that their children immediate family wasn't going to wear pants. There are many other members of the family that do, though. I do not think so. Wonder why many people are so fixated about the woman wearing pants...? Here we go. The pants police! I wondered too, not because of any religious reason, but because I can't figure out what's going on with all those layers, and because her right ankle looks totally sideways, or like it has an ice pack on it?? That ankle is not right. Arthritis? She looks much younger. She's a lovely lady and I'm glad to see a picture of her. Thanks Lily and Ellie! Glad to know she's doing well. Does Michelle have any relatives? We never hear about them. Who am I missing? Is Amy or Anna or Jessa or Jill pregnant too? No, you got the number right! There's almost 12!! You're listing Mary's great grandchildren. She has 20 grandchildren..Her son Jim Bob's 19 children and her daughter Deena's one child (Amy). It says almost 12 great grandchildren. 12 great grandchildren. The 20 would be josh and his siblings plus Amy. Maybe someone is having twins? The post said almost 12 and as you have demonstrated there are almost 12 on your list. It says almost 12 great grandchildren. You have them all listed. The post says 20 grandchildren. And 12 great grandchildren. Ah - you’ve edited the post to read 12 not 13 great grandchildren now. Won’t be long before it is 13 no doubt! Thanks everyone. Yes, I knew I was listing the great-grandchildren. The original post said 'almost 13 great-grandchildren' but was later edited to say 12! Guess it was a mistake...maybe! Thank you Ellie, I was one of the people who asked about a pic of Grandma Duggar. You are right, she looks wayyyyy younger than her age. So pretty! I hope all is good with her. Is she living at the main house? Or is she living in that cabin? She does look younger than 77, but I think it's mainly her hair. Her sweet Spirit shines through her smile! She acts youger then her age. And how is 77 suppose to act? Just wondering who the 20th grandchild is, as JimBob and Michelle only have 19. Is Amy pregnant? Isn't cousin Amy her granddaughter too? That would make 20. Amy is Jim Bob's niece, she IS the "20th grandchild". Amy Duggar King is her grandchild. Makes 20 with Jim Bob's 19. Amy is her 20th grandchild. Daughter of Jim Bob's sister. Amy is one of the grandchildren - the first, actually. Amy is grandchild plus Jim bob and Michelle 19 children do the math 19 plus 1 = 20! The 20th grandchild is Amy herself! 1 (Amy) + 19 (J kids) = 20. Amy is grandchid!, Amy's mom grandma Diggar's daughter. No...Amy IS the 20th grandchild. Actually, she was the first. Mary has two children, Jim Bob and Deena. Jim Bob's 19 children + Deena's one child (Amy) = 20 grandchildren for Mary. Amy is the 20th grandchild. Amy IS Grandma Mary’s 20’s grandchild! Amy is a grandchild. The Duggars 19 plus Amy makes 20. They might be including Jubliee. Amy is the 20th grandchild. She isn’t Jim Bob’s sister, she’s his niece. Amy is the 20th Grandchild she is the daughter of Mary's daugther it is not just JimBob and Michelled who have made Mary a grand mother and f Amy was pregnant then her baby would be Mary's Great Grandchild to be. Maybe they are counting Tyler, the adopted child from Michelle's family. 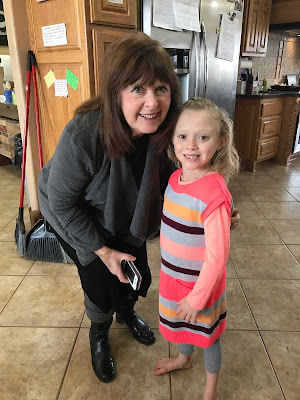 Amy is Mrs. Duggars grandchild by her daughter. Amy is her grandchild. 19 on one side plus one (Amy) on the other. Amy is a grandchild too. Amy is Mary duggar's first grandchild. Amy plus Jim Bob and Michelle's 19 equals 20. 12 great grandchildren. Amy IS the 20th grandchild! amy is grandma duggars 1st grandchild. josh was the 2nd, jana the 3rd, etc. Amy is the other grandchild since amy ' s mom is Jim bobs sister. You’re mixing generations. Amy is the 20th. JimBob & Michelle have 19 of her grandchildren & Amy is #20. Any is the 20th. That is Jim bobs sisters child. Her daughter has 1, that is Amy. To the admin: Is there really the need to post all of these posts pointing out the same thing, kind of pointless!! I heard they moved her entire house to the duggar land so she could live independently yet still close by. True? I thought Joe & Kendra got that house? Then I heard Joe and Kendra live in her house. Is that true? What is true? They need her living close so she has quick access to do their laundry. I heard joe and Kendra were building . Because they wanted the kitchen abd master bedroom and bath to hopefully be done when they returned home from the honeymoon? Do you know Lily or Ellie? Austin & Joy who were fixing up the house before the wedding. Nobody has said yet what Joe & Kendra have done. She really is a pretty lady. I have always adored Grandma Duggar! She's a great role model for women, wives, mothers, mothers-in-law, and grandmothers. I wonder if she'll make it to see her 1st great-great grandchild!! It could happen! Amy is the 20th grandchild. Jim Bob has 19 children and his sister has one child Amy. Grand children are the Duggar kids and Amy. 19 plus one is 20. The Great grandchildren will be 12 when the three babies are born this year. I enjoy seeing Grandma Duggar. I bet she's doing really well. Does she live with the Duggars or nearby? It would be fun to be a grandma of all the kids and live near them. I'd love to see more of her in the show. Grandma Duggar is such an inspiration on being a Godly woman and one beautiful inside and out. She is another reason I will not be watching the new episodes on TLC. If a TLC thinks Grandma Duggar is a bad influence because of her Christian beliefs then they are truly a network that is bigoted towards Christians and have no clue. This is such a modest wonderful woman yet she with Jim Bob and Michelle have been deemed a bad influence and not allowed on the show. The more I find out about this network and the show the more I do not understand why the Duggar children are participating in a show on such a network. Do not make assumptions. TLC has never said anything about Mrs. Duggar. The older Duggar were not deemed to be bad influences. Betty, do you understand how ratings work? How networks get the money to pay for these shows? The network determined that there is more interest in the young couples. More people will watch the show and hence the ratings will be higher if the courtships, marriages, and birth of babies are showcased. The older Duggars will appear as part of those story lines. No discrimination there, just a business decision. TLC is not a charity. The film crews have to paid. They get paid. Why else? They participate in the show to earn money for their individual families. It's not her birthday. Her birthday is in May. I guess 77 looks different to most of you than it does to me. My mother is that age, as are a lot of her friends, and I also have a few aunts within a couple years of 77. Grandma Duggar looks fine, but she looks every bit of her age to me. She actually looks a lot older than my mom. I think part of it is how she dyes her hair. It’s too dark for someone her age, and makes her look older. I’ve seen pictures of her where her roots need to by dyed, and it almost looks like she’s balding. I’m not saying she looks bad, she doesn’t, but why does looking younger than you are have to be part of looking good? Grandma Duggar looks good, and looks her age. Agree. People say that I do not look my age. I answer, what is my age suppose to look like? IMHO, women of a certain age look strange if they dye their hair. It does not match the face and why do it? Embrace the fact that you are aging. A woman in her 70s will have gray hair. Why try to hide that? Misplaced vanity? Why expose your body to potential harmful chemicals just to try to look younger than you are? I am not doing anything to my hair and I am pushing 70. I keep it neat and clean, not too short and not too long but no coloring. I have earned all my gray hair! I agree. I'm sure she's a great person but looks like any other elderly woman who dyes her hair an improbable color. It ages her. Wow, kind of rude statements you've made saying she looks like she's balding and looks older than her age. I highly disagree! Let's just say I hope someone doesn't say the same things to you when you are 77 someday. Your whole comment was unnecessary. If she likes to keep her hair dark then that’s great! Whatever makes an individual feel attractive is very personal. Why does looking younger have to be part of looking good? How many senior citizens say “hey, Sally, you are really looking old! Looks good on you”! Nope. Doesn’t happen. I didn’t realize she was widowed so young. Sad she hasn’t found another love to share her life with. JimBob and grandkids aren’t everything. My Los Angeles perspective -- may be different in other parts of the country: I think the hair color suits her just fine and that she looks really good for her age. I'm not a fan of lightening your hair so much that you look like a different person as you get older and older. I know it's the conventional wisdom, but I don't think it's flattering to all women and makes it very obvious that they're lightening their hair as they age (attorney Gloria Allred comes to mind). I sure hope I look as good at 77 Go Grandma Duggar! 2:57- Maybe she's perfectly content being single, rather than sad. My mother was widowed at 70 and she's now 94. She recently told me that she was not ever interested in marrying again, because no one could measure up to my dad! She has no regrets. You can be perfectly happy alone. Thanks Ellie and Lily for posting this. I would love to be able to spend time with Grandma Duggar to talk about how she would approach dating/courting. Like, would she feel compelled to have chaperones when spending time with a gentleman friend, to set an example for her grandkids and great-grandkids? From the old photos I've seen, her hair IS lighter now than her God-given hair. 12:31, Grandma Duggar doesn't follow the same guidelines as the Duggars. For example, she wears pants. Grandma Duggar looks so beautiful & so much younger than her almost 77 years. She is such a lovely woman who always looks so kind & has such a gentle spoken voice, I would love to hear & see more of grandma Mary, such a special lady. Do you know if Jessa still lives in her old house ? It made me mad that josh and Anna named a baby after meridian from tv but havn't named a baby mary or michellw.mary michelle would be great. She looks great. Can't believe it's been so long since her husband died. He's whooping it up in heaven, I'm sure! Beautiful Christian Woman. We appreciate you Mary. Oh she is so sweet and patient with being around all the kids and busyness. Baby Vuolo on the Way!